Leather Interior, CD Player, Bluetooth, Alloy Wheels, Turbo Charged, Back-Up Camera, iPod/MP3 Input, Satellite Radio. EPA 28 MPG Hwy/21 MPG City! 718 Cayman trim. AND MORE! KEY FEATURES INCLUDE Leather Seats, Back-Up Camera, Turbocharged, Satellite Radio, iPod/MP3 Input, Bluetooth, CD Player, Aluminum Wheels. Rear Spoiler, MP3 Player, Keyless Entry, Heated Mirrors, Electronic Stability Control. BUY FROM AN AWARD WINNING DEALER From the first time we opened our dealership's doors in April of 2006, we have stayed true to our roots as a family-owned business. In otherwords, quality always wins out over quantity at Porsche Chattanooga. Fuel economy calculations based on original manufacturer data for trim engine configuration. Please confirm the accuracy of the included equipment by calling us prior to purchase. Leather Interior, CD Player, Bluetooth, Alloy Wheels, Turbo Charged, Back-Up Camera, iPod/MP3 Input, Satellite Radio, TheCarConnection.com explains The 2018 Porsche 718 gets a 10 out of 10 for performance because we can't give it an 11...we give the 718 points above average for superlative steering, engines, brakes, transmission, ride comfort, and the gilded point for excellence in all of the above.. S trim. AND MORE! KEY FEATURES INCLUDE Leather Seats, Back-Up Camera, Turbocharged, Satellite Radio, iPod/MP3 Input, Bluetooth, CD Player, Aluminum Wheels Rear Spoiler, MP3 Player, Keyless Entry, Electronic Stability Control, Heated Mirrors. EXPERTS RAVE Approx. Original Base Sticker Price: $87,700*. WHO WE ARE From the first time we opened our dealership's doors in April of 2006, we have stayed true to our roots as a family-owned business. 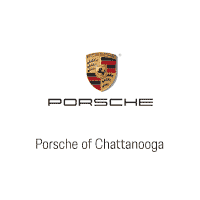 In otherwords, quality always wins out over quantity at Porsche Chattanooga. Pricing analysis performed on 3/1/2019. Please confirm the accuracy of the included equipment by calling us prior to purchase.